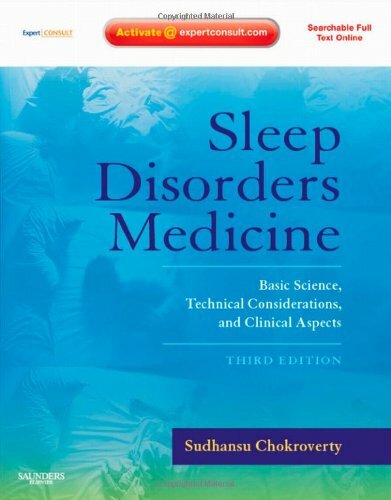 medicine in a practical, logical format divided into three sections: the basic science of sleep physiology, neuroanatomy, and biochemistry; the technical methods of recording; and a clinical approach to patients with sleep complaints. Represents the breadth of knowledge across disciplines through the contributions of 50 prominent names in the field of sleep medicine. Provides a multidisciplinary approach to the diagnosis and management of sleep disorders with coverage of related fields such as pulmonology, otolaryngology, and psychiatry. Includes a Glossary of Terms adapted from the American Sleep Disorders Association for quick reference to the sleep terminology used throughout the text. Offers online access to the full text through Expert Consult functionality for convenient reference. Demonstrates how recent basic science advances affect clinical medicine through new chapters on Sleep Deprivation and Sleepiness; Sleep and Memory Consolidation; Neuroimaging in Sleep and Sleep Disorders; Nutrition and Sleep; Nature and Treatment of Insomnia; Evolution of Sleep from Birth through Adolescence; Sleep-Disordered Breathing in Children and Women's Sleep. Improves on the clarity and consistency of the text with a new, completely redrawn art program, including full-color illustrations in the clinical section that enhances diagnostic material. Presents the material in an even more readable and user-friendly two-color design and page layout.